If I ever talk of daily food as a sacrament — a visible sign of grace — there are those who grimace. They are concerned, I think, that in casting the net so broadly I am in danger of diminishing the real worth of the ‘sacramental’ and, especially, the more formal sacraments of the church. My own view is that to allow the sacramental to be limited to particular church rituals, no matter how rich, is to diminish the sacred possibilities inherent in all of earthly life. Even worse, when it comes to faith that implicates every aspect of our lives, we let ourselves off the hook far too easily. 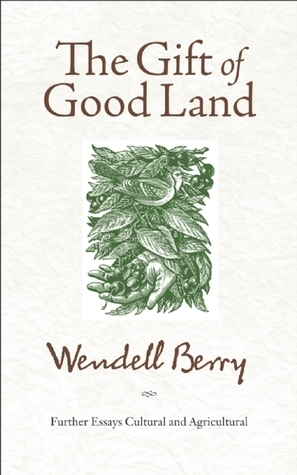 Wendell Berry, The Gift of Good Land: Further Essays Cultural and Agricultural, Counterpoint, 2009, 281. Last week I attended Mass at St Francis here in the city. It was not a planned thing. I just happened to be in the neighbourhood. It’s a familiar place. In fact, I used to take my students there each year. In an introduction to spirituality, we visited several churches of various brands, St Francis included. I always leave St Francis both uplifted and mystified. On this occasion the officiating priest was an endearing, slightly grumpy man, past retirement I would think. Yet it felt like I was in good, familiar hands. And, as usual, the place was standing-room-only. No doubt, there’s something about the Catholic Mass. Though I often feel a bit on the outer — I never do know when to kneel or sit or stand — there is a wonderful certainty in it. Whether I feel anything or not, the ‘magic’ happens, the bell rings, God shows up. None of this symbolism stuff … this is the real deal! That said, what bugged me this time around was not doctrinal or even profound. It was simply the stinginess of the whole thing — the bread I mean, the wafers they dole out like carefully portioned medications. And the pour souls who attend hold out their hands as if, like Oliver, they come begging for just a little more. Sure enough, it’s not just a Catholic thing. We Baptists do stingy too. Visiting someplace else only amplifies it. Communion means the tiniest bits of bread, pre-plated and barely a centimetre square. 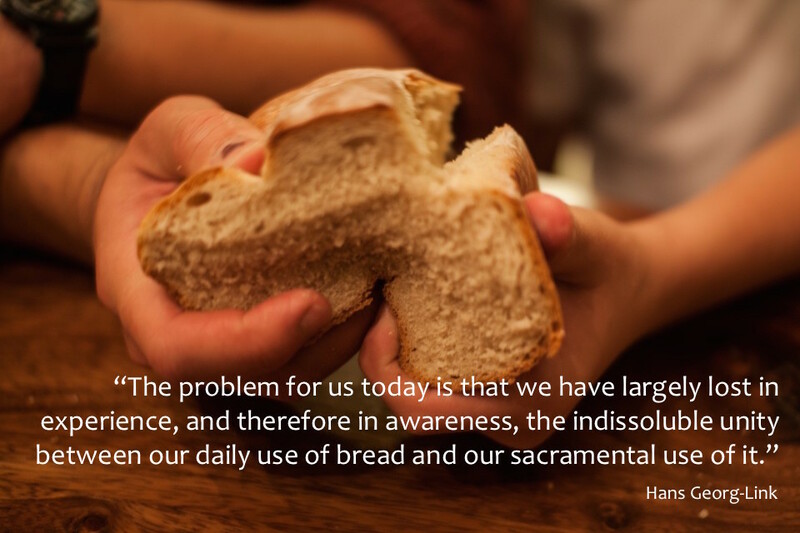 Even if we occasionally share a loaf, we Baptists are conditioned to pick off the slightest morsel. To do otherwise feels almost carnal. 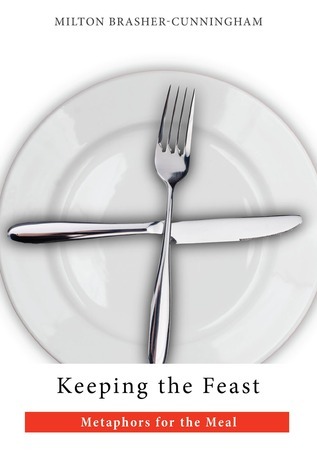 Whatever happened to the feast? Where is abundance? What about grace lavishly given? The unbridled hospitality of God? The pull-up-a-chair kind of welcome that God extends through Christ? I’ve eaten at this private club before. with some man slapping a flat wafer on my tongue. Never was much for fast food. we ate bread in Ephraim? offered thick crusts of French bread to the sky. 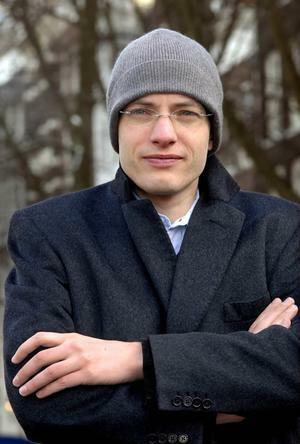 The popular English philosopher Alain de Botton has gotten a mountain of press over his book Religion for Atheists, and not all of it glowing. I’ve commented on it more generally here. But what he says about the table is worth a separate mention. History teaches us, he says, that as people unite in belief, worship and a common confession of dependence, other differences of class, race, economic or social standing recede. De Botton then looks at the religious ritual of the mass and the role it plays in drawing disparate people together, creating an expression of community rare in secular society. Where are the tables like this one, he asks, apart from religious belief? In a restaurant no less than in a home, when the meal itself — the texture of the escalopes or the moistness of the courgettes — has become the main attraction, we can be sure that something has gone awry. Sitting down at a table with a group of strangers has the incomparable and odd benefit of making it a little more difficult to hate them with impunity. Prejudice and ethnic strife feed off abstraction. Christianity, Judaism and Buddhism have all made significant contributions to mainstream politics, but their relevance to the problems of community are arguably never greater than when they depart from the modern political script and remind us that there is also value to be had in standing in a hall with a hundred acquaintances and singing a hymn together or in ceremoniously washing a stranger’s feet or in sitting at a table with neighbours and partaking of lamb stew and conversation, the kinds of rituals which, as much as the deliberations inside parliaments and law courts, are what help to hold our fractious and fragile societies together. 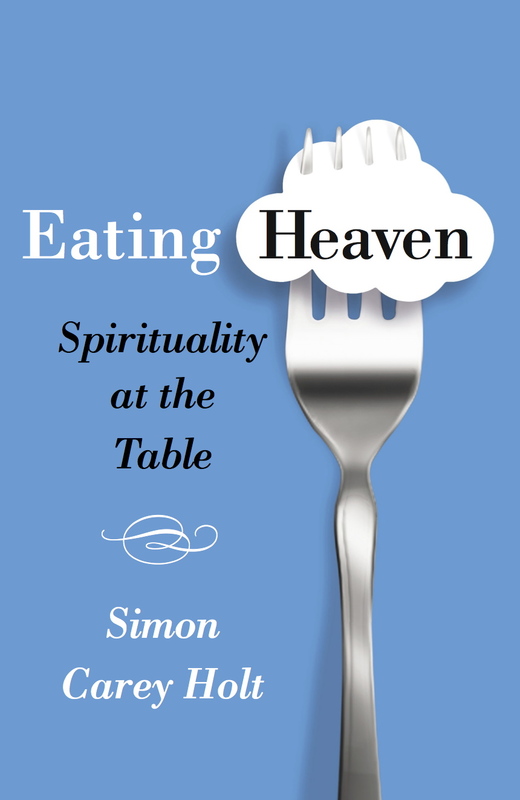 While I certainly have doubts about the real possibility of de Botton’s imaginary table, I am also conscious of how far our religious tables can be from the same possibility. Despite their radical nature, all too often we have made these tables tools of separation and exclusion rather than places of open welcome and hospitality. In this, de Botton’s words are challenging.